The Ford EcoSport has gone back… And I am going to miss it. 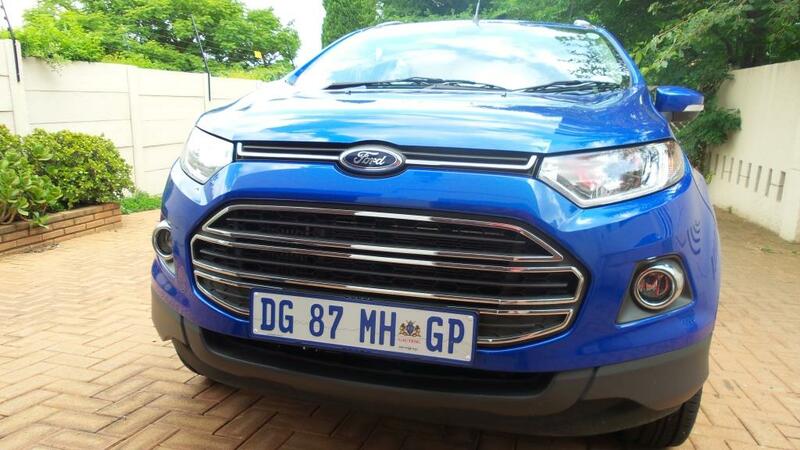 I got to drive the Kinetic Blue Ford Ecosport 1.0 GTDi Titanium Manual for a week, courtesy of Ford South Africa. 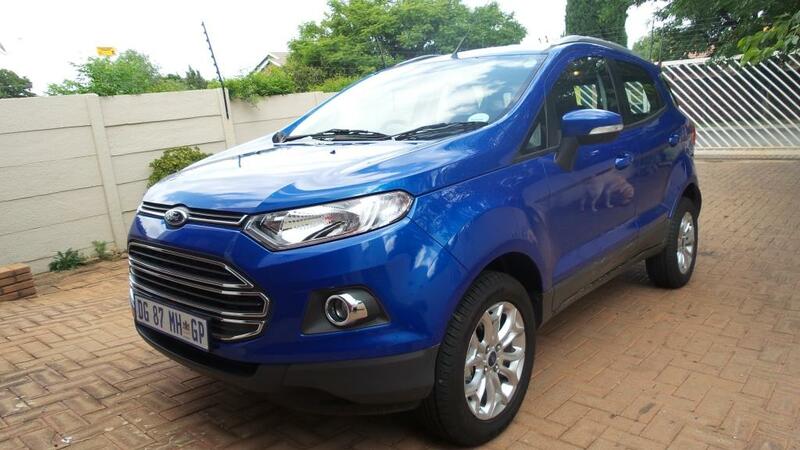 Check out the pictures on Ford’s website to see detailed shots of the interior of the EcoSport. Fully adjustable driver seat and steering wheel. I can fold up the backseats and put them back down ON MY OWN. A cup holder for every seat. No lights or air vents for the back seat. No overhead grab handles on any doors. The silver panel on the centre console catches the sun sometimes. I like a powerful car, and I found the EcoSport actually appeases my love of power by being responsive under foot, even though this model only has a 1L engine under the hood. And there’s a little bit of a rumble when you accelerate that sounds like a much bigger engine. For me it handled like a dream. Parking it was a breeze, aided by power steering of course. I can sit comfortably while I drive and I can get into and out of it with ease even with the higher ride, and the height of the foot pedals off the floor is just right – I’m not driving with my toes or having to lift my feet to reach the pedals. The air conditioner works like a bomb, which is a must have for me, and the sun visor is actually long enough to keep the sun out of my eyes – I often find them to be too short to be any good. And both visors have mirrors on, the passenger visor mirror including a little light. And having very light-sensitive eyes I really like that the rear view mirror dims automatically at night, there’s no need to flick it back and forth. And I didn’t actually find a blind spot in the EcoSport, which I have in a lot of other cars. Cruise control makes for very comfortable driving on the highway, and it aids in keeping your fuel consumption down of course. I did not see a huge difference in fuel use while I was driving it BUT I didn’t take any really long trips. I did my usual trips with my Glugs to the station in the morning and fetching him and going to Guide-dogs. 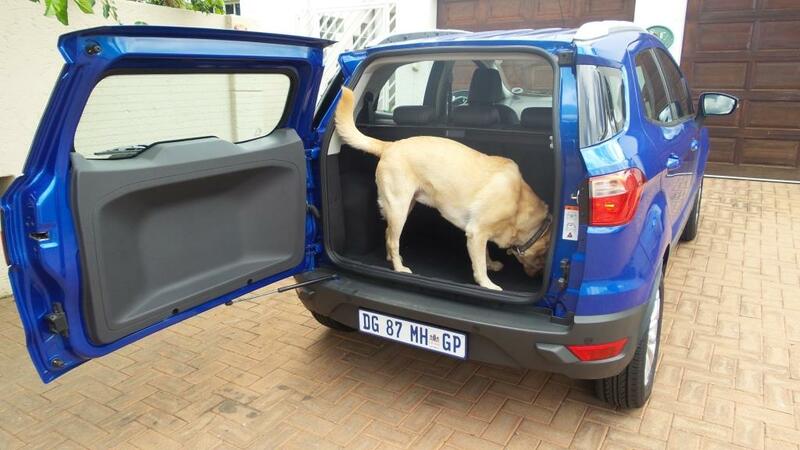 The furthest we went was to JHB South to visit family and the boot is deceptively spacious – we fitted 3 cooler boxes and some luggage in it with ease! The seats are comfortable, I could even use the headrest which for me us unusual – its usually too high for me. The driver’s seat is adjustable up and down and backwards and forwards, and it has some lumbar support you can adjust. I really prefer fabric seats to leather… I loathe burning my bum when I sit down and whilst the leather is easier to clean, its hot for my dogs too. The back seat is made for three… but definitely not three big bums. 😛 Coming home from my sister there were three of us in the back seat and whilst we had ample legroom, we were a little bit squished sitting next to each other. Carting my dogs around is no problem. My three Labs could happily sit together on the back seat, and folding the seats flat meant they could comfortably lie down and even spread out a bit without squishing each other. The freedom of hands free phone calls using SYNC is fantastic – answering and hanging up using the buttons on the steering wheel means I don’t let go of the wheel. I tend to make phone calls when I drive, its just how I roll, so SYNC is ideal. And I can control the radio volume the same way and cruise control the same way. And an added bonus – the cubbyhole is chilled! I can keep my water cold while I drive! Driver and passenger airbags with side and curtain airbags, traction control and ABS with Electronic Stability Control. Five 3-point seatbelts as well as ISOFIX kiddy carseat anchors in the back. Automatic headlights – you can switch them on and off yourself or you set it to auto and they come on when its dark and go off when its light, or when you switch the car off. It also has rain sensing windscreen wipers, though I can’t imagine anyone forgetting to turn those on in the rain! And it has a sensor built into the bumper so when you’re reversing it will warn you if you’re heading for a pole or a wall. And I love this reverse sensor alarm because I have nightmares about accidentally running over one of my dogs! 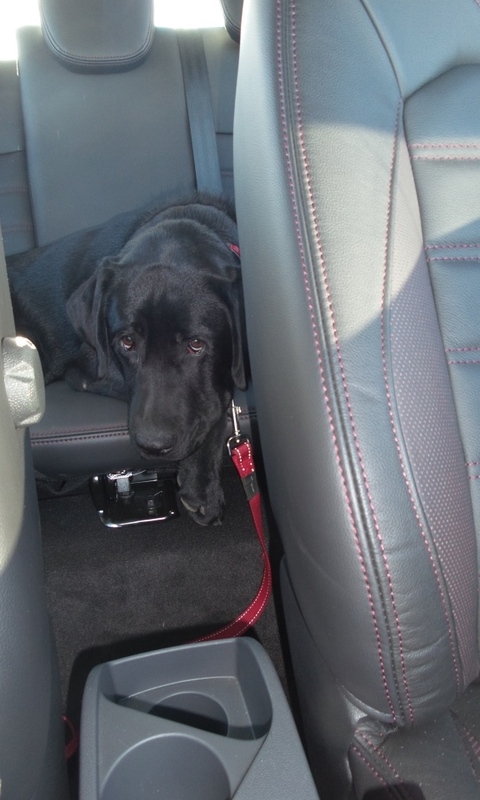 This entry was posted in doing business, freebies, Fun on Four Wheels, Lady Bloggers by Angel. Bookmark the permalink. Sounds like a fantastic ride! David and I recently got to test drive the new Opel Adam, which was also great fun. For us, it’s far too small a car BUT it has a bajillion bells and whistles and I was super impressed! The Adam we drove was also a 1L Turbo engine, and I was surprised at the punch it packed! ISOFIX child seat anchors, self-parking function, pedestrian airbag, front, side and curtain airbags inside, IntelliLink handsfree and infotainment system… So many incredible features for a car whose TOP model retails at under R250K! I love how manufacturers in general are incorporating tech into new cars – and not only the luxury end of the market. Looking back on what was available in terms of safety features, on-board tech and general comfort less than 10 years ago and comparing it to what you can have now, in a reasonably priced car, is simply astounding!